The Alibaba IPO has been the subject of much hype and speculation for some time now, despite its relative distance on the financial calendar. There has been no shortage of analysts and journalists examining the worth of the company and impact that its float may have on the global markets. 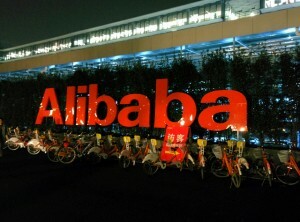 Most of the major questions – how many shares will be on offer, at what price, and whether Alibaba will beat Facebook or Visa for the title of largest tech IPO and largest US IPO respectively – will not be fully answered until closer to the proposed date of the launch on August 8. IG’s grey market, however, is currently predicting a valuation of $200 billion. If Alibaba were to achieve that valuation, and sell 10% of its shares via the IPO, it would comfortably beat both Facebook and Visa’s records. It’s not hard to see why the company is valued so highly – in 2012 it handled $170 billion in sales, and this year it is estimated to handle far more than that. Get the latest information about the Alibaba IPO with IG. Despite the buzz surrounding the IPO, many investors remain unsure about what the business actually does – unsurprisingly, as the site itself can be bewildering and certainly contains some odd items for sale. It is set up to sell bulk amounts of almost any product that can be sold and delivered, mainly for wholesale business dealing but increasingly for consumers as well. Given the popularity of the listing, it might be easier for investors to visit Alibaba and buy some high quality merchandise instead of attempting to get shares themselves. So what’s on offer? Unsurprisingly, considering the staggering amount of money that Alibaba might be worth, there’s no single item that comes close to the $20 billion stake many anticipate Alibaba will raise. One of the most expensive items on sale through the site, an Airbus A320, costs $60 million – which makes Alibaba’s IPO worth around 330 Airbuses. With that, you could own a fleet of planes larger than British Airways. Alternatively, if travelling by sea is more your style, you could invest in a cruise ship for a more modest $25 million. That’s the equivalent of a 0.0125% stake in Alibaba, for which you get a 286×50 ft ship which can travel at a respectable 17 knots and carry 301 passengers. Or if you don’t like the sound of transporting people, you could invest instead in a cargo ship: a recent 2012 model designed for general cargo is going on Alibaba for $12 million, or there’s oil tanker that can be bought for $8 million. Sticking with the nautical theme, but at a more affordable price, is a submarine. A 26 passenger tourist submarine costs just under $1 million on the site, equivalent to a tiny percentage of Alibaba stock. Ignoring travel altogether, there’s an oil drilling rig available for $5 million dollars, or a rollercoaster ride for $2 million. Should Alibaba mirror Facebook’s share price of around $40 per share, a rollercoaster is worth roughly 50 000 shares in the website. For those who have the assets to be a major investor in Alibaba, the possibilities for what you can buy are truly astonishing. If the thought of launching your own airline, theme park or oil company doesn’t appeal, there are numerous ways to invest in Alibaba’s float. IG’s grey market offers a way to take a position on what valuation Alibaba will eventually have, and remains open until the day the stock becomes available. Whether Alibaba ends up becoming the biggest IPO of all time – US, tech or otherwise – it’s certainly one of the most interesting companies to come to the stock market in a while. That alone should make it worth the hype – and worth watching come August 8. Spread bets and CFDs are leveraged products. Spread betting and CFD trading may not be suitable for everyone and can result in losses that exceed your deposits, so please ensure that you fully understand the risks involved.